Untuckit is a direct to consumer shirt brand that will leave you looking sharp even at your most casual! The brand found their niche (and their name!) when encountering the difficulty of finding a shirt that fits well and looks good while being untucked. Their variety of styles, patterns and designs makes Untuckit shirts a No Middleman favorite. But it doesn’t stop there—they’ve expanded into other awesome lines of apparel, and now have women’s clothes too! 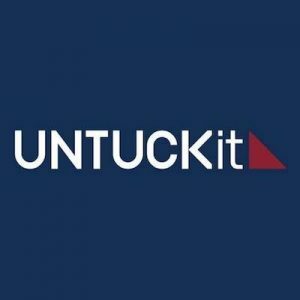 Untuckit has grown to over 50 retail stores open nationwide, a truly impressive feat for a brand that started with one small idea. Check out their inspiring journey on their About Us page!